Welcome to the Cove, Nia! If your version of “camping” includes the luxury of beds with linens, electricity, and A/C, our brand new artsy cabins right on the island in our 30-acre lake are just the thing for you. While some locations may make you feel like you’re in a tree house with views of the water through the canopy, what they all share is an attention to detail and a beautiful natural setting. Each bed includes linens and towels. Toiletries not included. Shared cabins (2 per room) with shared bath houses are $50 per person per night, plus a $30 non-refundable reservation fee. Private cabins (1 per room) with shared bath houses are $75 per person per night, plus a $30 non-refundable reservation fee. 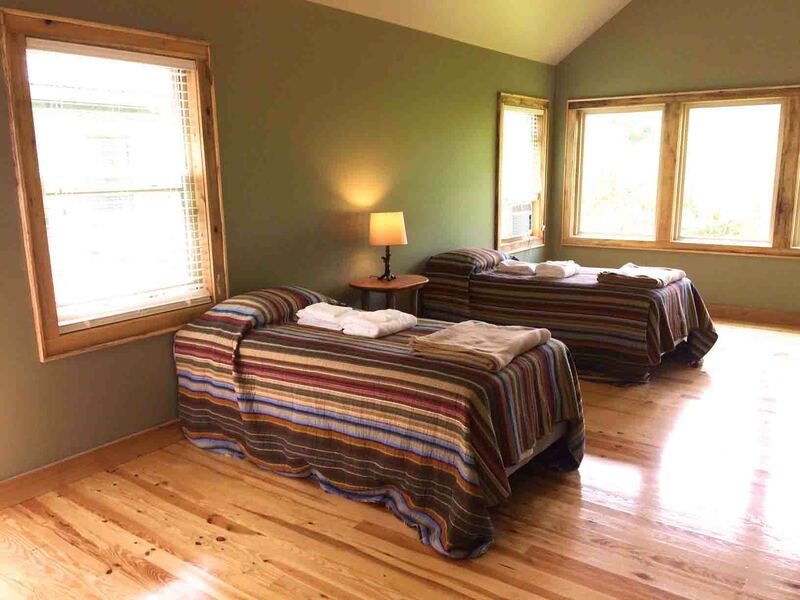 Cabins are on average a 1 – 3 minute walk (or an even shorter drive) from the Sanctuary in the Pines. Once you hit the "Send" button, you'll be taken to PayPal to complete your registration, where you can pay the $180 fee with a PayPal account or a debit or credit card. Once you hit the "Send" button, you'll be taken to PayPal to complete your registration, where you can pay the $130 fee with a PayPal account or a debit or credit card.